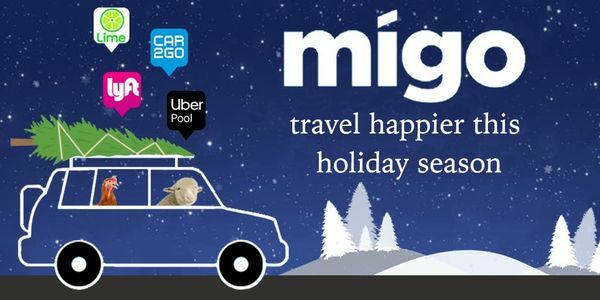 Ride Share, Carshare, Taxis, Bikes, We’ve Got You Covered in Los Angeles with Migo! There are 86 ways to get around Los Angeles, California, and 61 of the best ways are available through an app! Choose between 11 carshare, 17 taxi, 20 rideshare, bikeshare, or 34 black car/limo companies. The best 5 ways to get from A to B in Los Angeles are on Migo. Whether you need the closest, cheapest, or fastest ride, Migo has all of them in one app. Scroll down to see all the different transportation apps available on iTunes or GooglePlay. Choose from one of the providers below to help you get around Los Angeles today. Catch a live show at The Echo & Echoplex, one of the coolest venues in town. Call a ride share to the Greystone Mansion and Gardens! Walk through the newly designed Los Angeles State Historic Park for amazing views! Walk the Venice Canals, reminiscent of Italian architecture. Head to your all-time favorite rides before grabbing a much-needed snack at a restaurant or cafe! Soar on your own broom with the Harry Potter Experience! Take a romantic boat ride in Echo Park and watch the sunset reflect on the water. Interested to visit a unique museum unlike any other LA attraction? Read about what's new at Migo in Los Angeles.